Can't make it to a service? No problem. Watch live here! Get the latest teachings from here. All moms, plan to join us on Monday, April 29, 2019 from 7-9pm in the Fellowship Hall. To register and for questions, please contact the Church Office. We will be participating in the National Day of Prayer in the Sanctuary, May 2nd at noon. Save the date! May 11th we’ll be having a Men’s Breakfast. Details and registration coming soon. If you would like the direct contact information for any of the announcements listed above, please contact the church office (610.524.5338) for his/her information. Our Sunday morning services are casual and allow you to come as you are. The first portion of each service is set aside in a time of congregational praise and worship. Children ages 2 and above join their parents for the music portion of the service and then are dismissed to be checked into their age-appropriate classes. After some brief announcements, our services continue with verse-by-verse teaching from Pastor Chris. 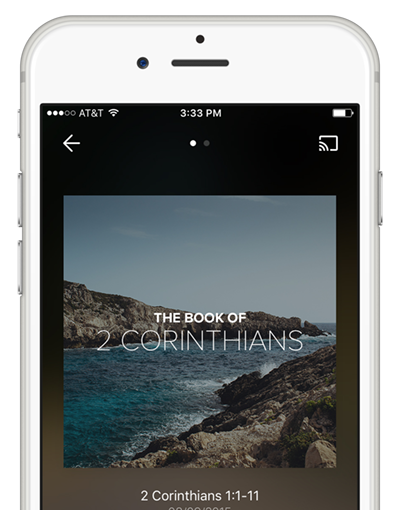 listening to sermons just got simple. or past ones from anywhere. Have questions about your faith? Or maybe something else? Send us an email or call the church office.